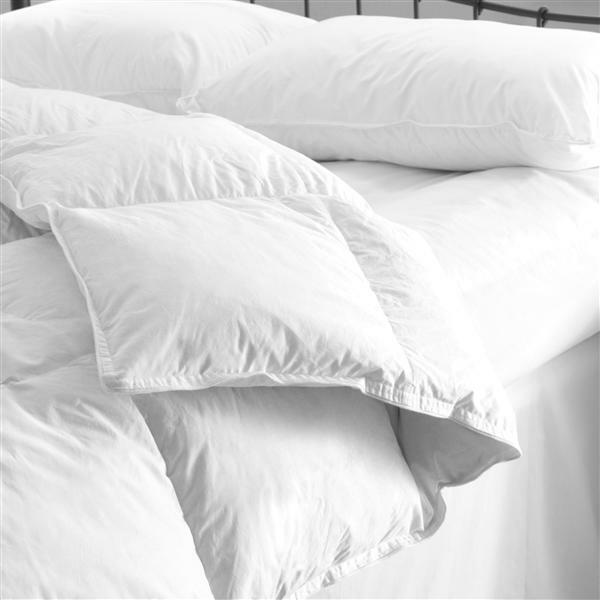 The man made alternative to a Goose Down duvet with the added comfort of a 100% cotton case. The hand sewn box construction prevents the fibres from moving and the fine woven casing is impenetrable to dust mites. Exceptional product - incredible value for money.